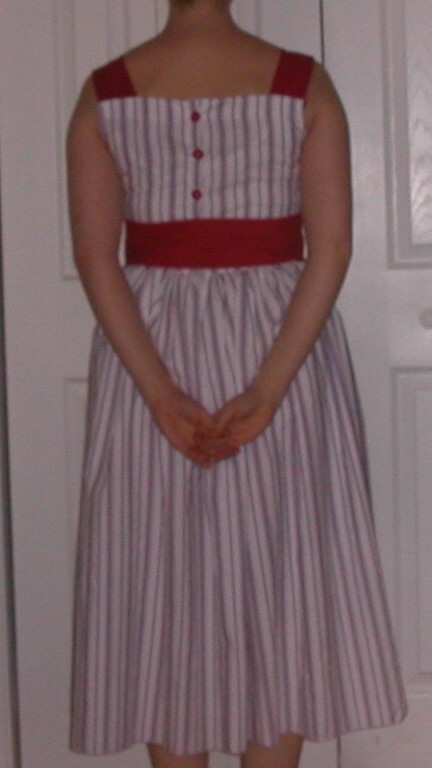 I finished my first dress this morning; it took about four hours total to make. I love this pattern! So easy, so simple, and yet so classy. The belt is detachable, and there are only buttons in the back; no zipper. I’m going to make a similar dress for Bella with the leftover sheet pieces. 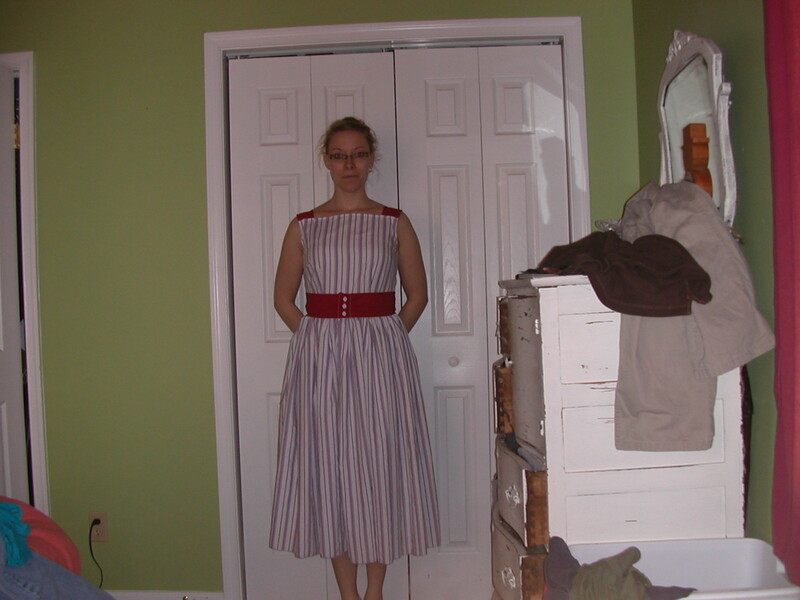 This entry was posted in Family & Home Life and tagged 50's dress, repurposed sheets, sewing. Bookmark the permalink.